Welcome to Five Star Denison New Website! With a location as convenient as ours, we can understand why they’re willing to make the short drive! 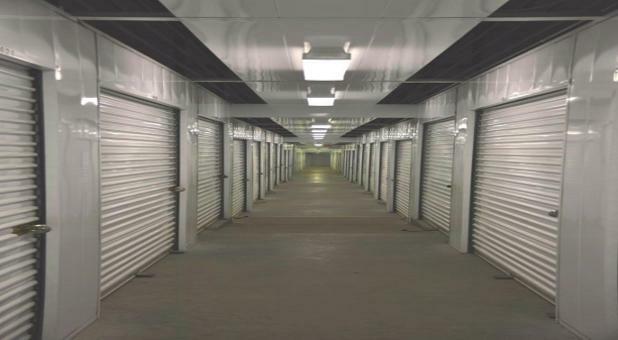 Our storage facility is minutes away from Braum’s, Hoyte Dodge Chrysler Jeep, ENT Centers of North Texas, Austin College, Starbucks, and Lowe’s Home Improvement. We’re a new facility with a welcoming staff, many different sizes of storage units, and the security features that matter most to you. We offer a mix of climate-controlled and drive-up accessible spaces, so whether your needs are residential or commercial and long-term or short-term, we can assist you! Our office is open six days a week, Monday through Friday from 9 a.m. to 6 p.m. and Saturday from 9 a.m. to 2 p.m., so that we can be here when you need us most. Packing and moving doesn’t have to be stressful. We sell boxes and supplies in our office and even offer a truck rental program so that you can move quickly and efficiently. Thanks to online bill pay, extended access hours every day, and secure, keypad entry, our storage facility eliminates hurdles for your move so that you can get your project finished and off your mind. Our team is happy to help you with anything you need, so pick up the phone and give us a call today! Secure place to store my things with reasonable rates. Love these people. Their systems are up to date with reminders and pay via website. The unit property is well maintained and clean. If you go in the office they are Always cheerful and very helpful. Great place to send packages, too.